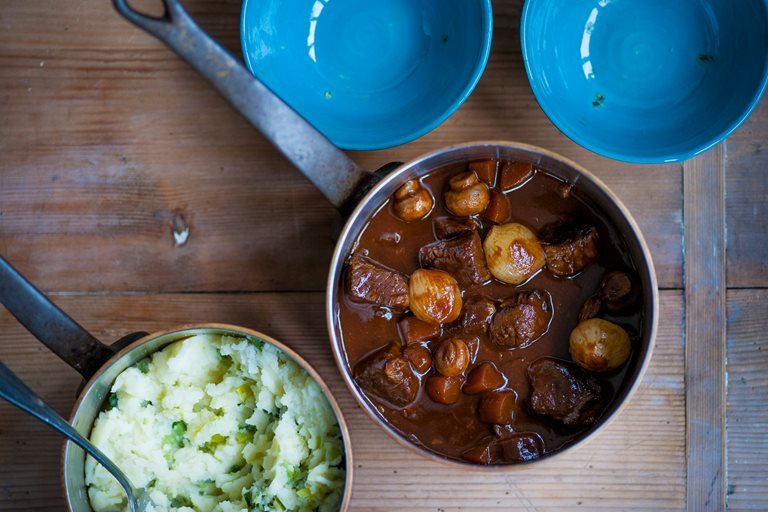 Stews are convenient and a perennial family favourite in many households. Shaun Hill's beef stew recipe requires braising the meat for 2 to 3 hours before stewing with carrots and mushrooms in a rich red wine and tomato sauce. He serves the hot beef stew over a creamy mashed potato with leeks.